From the outer reaches of s to the to the backwoods of southern Georgia, the hunt comes home in director Shane Black’s explosive reinvention of the Predator series. Now, the universe’s most lethal hunters are stronger, smarter and deadlier than ever before. And only a ragtag crew of ex-soldiers and an evolutionary biology professor can prevent the end of the human race. 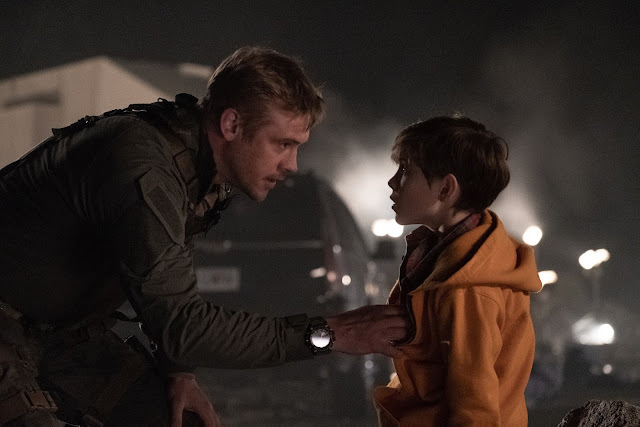 Young gifted child Rory (Jacob Tremblay), unknowingly triggers the return of “The Predator” to Earth when he tinkered with the package that contains alien technology his dad , Quinn McKenna (Boyd Holbrook), sent to their home from a recent mercenary mission. With the government attempting to cover up the extent of Predator incursions on Earth, a group of military veterans must figure out what is going on and how to save the world – or at least themselves – as the battle spreads from the depths of outer space to once-safe suburbia. 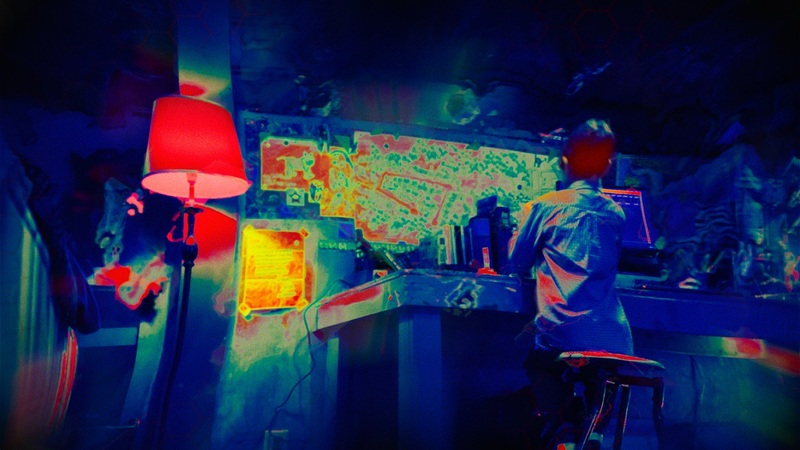 Rory’s gift for solving puzzles helps him understand the Predator language. “He’s really good at figuring out the Predator,” Tremblay says.